Jordan 11 Cap and Gown (Prom Night) is scheduled to be released this Saturday. 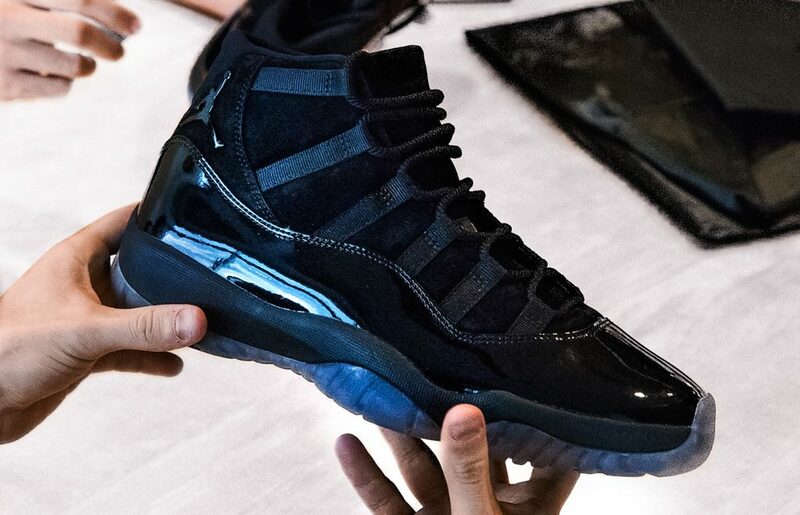 The all black Air Jordan 11 is arriving just in time for graduation and prom season, Nike is even giving some grads early access to the shoe via the sneakers app. The shoes are constructed of a suede upper and the signature patent leather wrapped around the lower part of the shoe. The all black 11 is perfect for any formal occasion. The shoe is set to be release this Saturday at select Jordan brand retailers as well as the sneakers app with the price tag of $250.00.